Howdy friends! Are you a lover of low riders? Do you think short and squat is super adorable? Well then I am the girl for you! 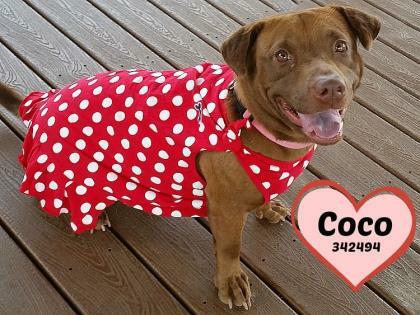 My name is Coco, and I am a 2.5 year old squishy, wiggly lab/corgi mix who wants to be friends with everyone! I do well with dogs, cats, and kids! In my journey from Texas, I can’t wait to play and snuggle with my new family. If that’s not enough, I am fixed, vaccinated, and microchipped! If I sound like the perfect girl for you, fill out the adoption application so we can set up a time to meet and play! My adoption fee is $250.